I decorated and yes…even designed my classroom layout this year with these five goals. 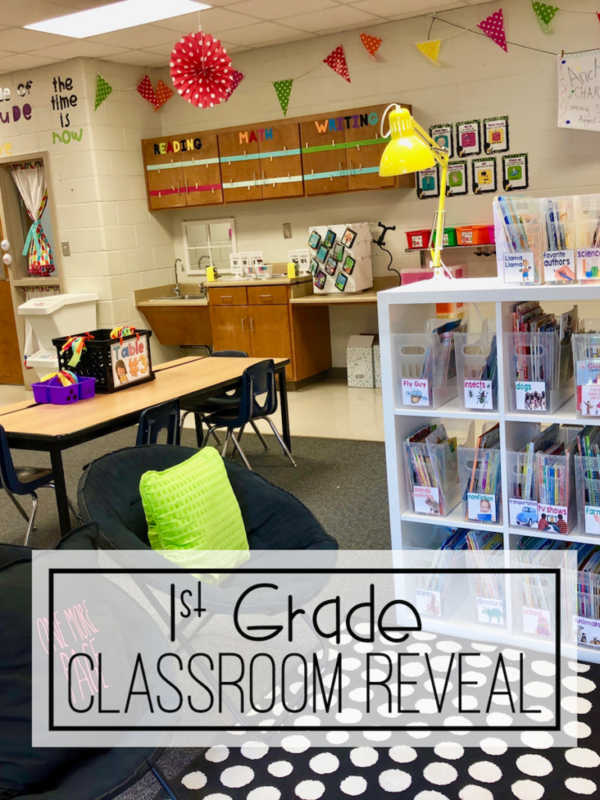 I am pretty excited to share with you today a grand reveal of my classroom and a few ways that you can recreate my space for your own classroom as well. When I knew I was going to teach 1st grade, I had a few things to consider…ok, a lot to consider. This was MY CHOICE. No one forced me to go back to the classroom. In fact, everyone would have been happy if I had stayed right where I was, doing the same RTI/PBIS/504 position. I wanted a change, and I enjoy stretching myself to become a better educator. 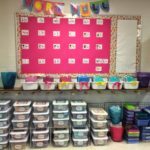 Classroom Storage – My new classroom did not have a massive walk in closet like I was used to. I knew I needed to start the year very organized and give myself lots of storage options with drawer sets, shelves, etc. 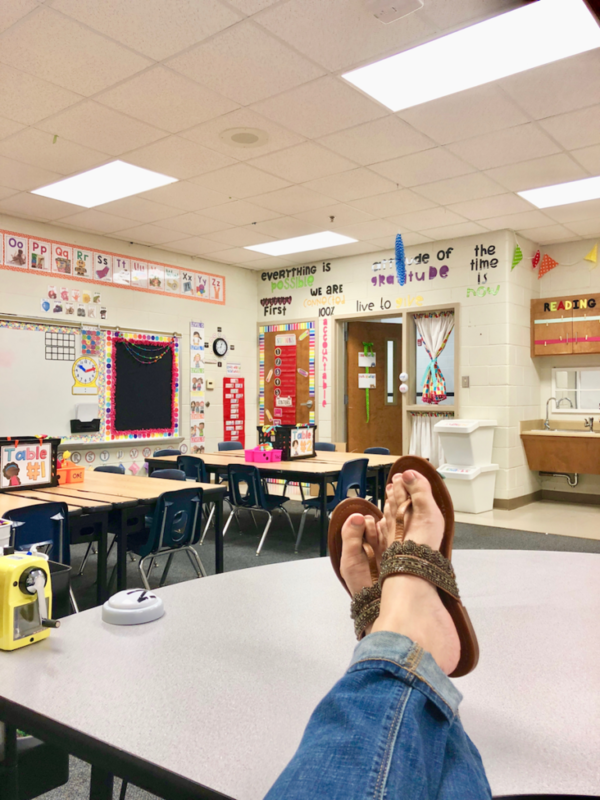 Flexible Seating – I am not a fan of classroom desks. Personally, I felt my students were constantly distracted by their items in their desk and less focused on me or the discussion. I usually move my students to the floor for whole group lessons or discussions. For this reason, I decided to go with tables instead of desks. The most important area of my classroom was going to be my reading area. I wanted to make sure that students were drawn to this area. It needed to have that “wow” factor. 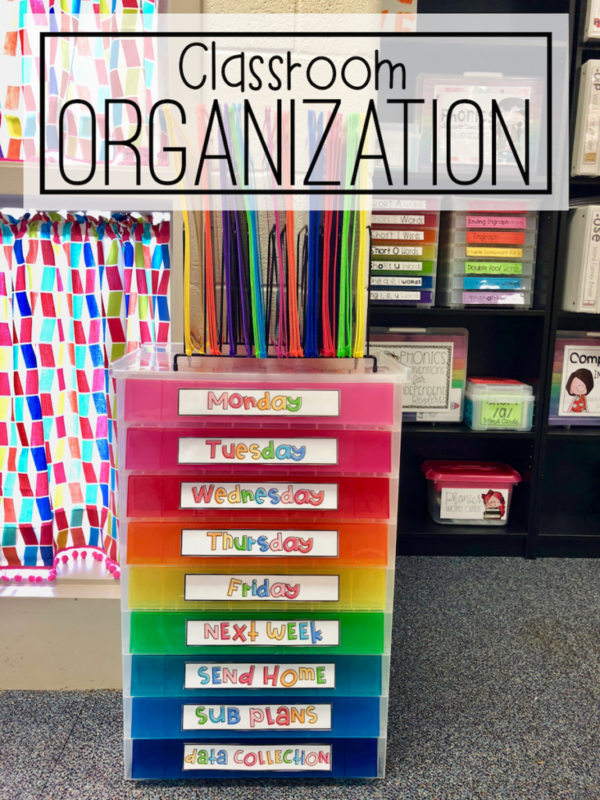 Knowing that storage and organization are a massive part of an elementary classroom, I wanted to make sure that I had plenty of drawers, book shelves, and areas where students can store supplies and necessities. I labeled most of my areas with cute tags (these are a free download in my VIP Resource Library). Click here to sign up. However, a few drawers and areas, I left blank so I could see what we needed once school started. 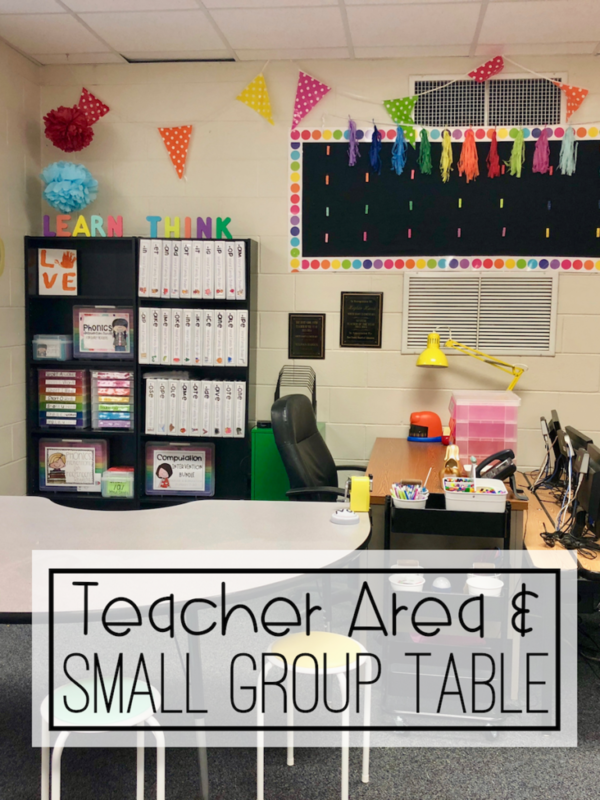 I have always loved having my desk with supplies close by to my small group table. I also added two $29 IKEA bookshelves with my phonics materials behind me. This way I can grab and go to meet the needs of my students. Have you purchased one of those amazing metal rolling carts yet? If not, head to Michaels and get one! They are wonderful and perfect for reading and math manipulatives. Use your teacher ID for extra savings. This area of my room is my favorite and definitely where I have spent most of my money and time! 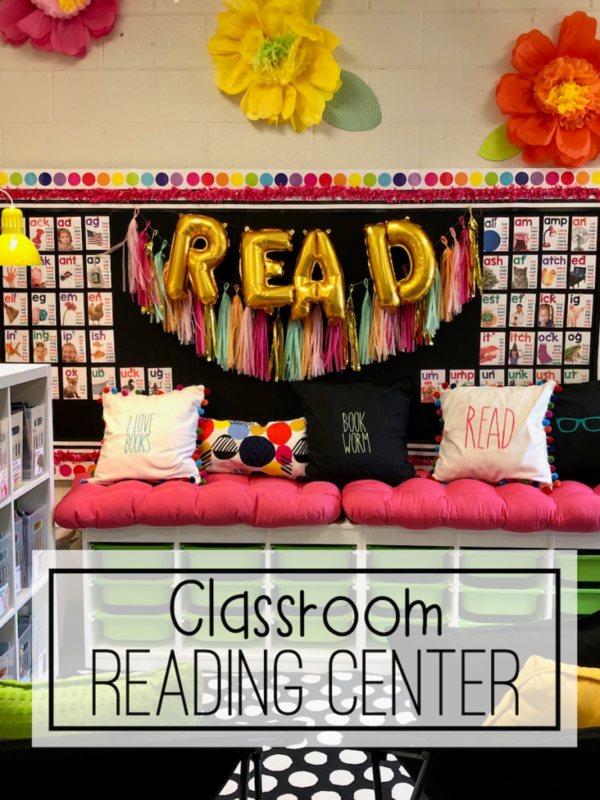 I have two blog posts on this area of the classroom including how to recreate this look for your classroom and how to stock your classroom library on a budget. 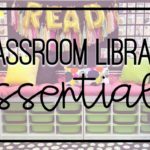 Click here for details on how to create this look for your classroom library. Click here to read more about building a classroom library on a budget. Notice the cabinets in my room? Those are pretty awesome to have! 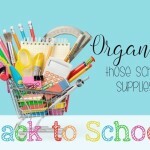 I will use these storage areas to hold supplies, construction paper, student supplies, etc. I wanted to be able to use the outside of the cabinets for content area vocabulary, exemplary work, visual cues, etc. I ran ribbon around the doors and used a dab of hot glue to keep them in place. Then I used a clothes pin on each ribbon to secure the cards, papers, etc. I love displaying my interactive word wall in tight spaces to make every square inch of my room functional. My display this year is under my whiteboard. 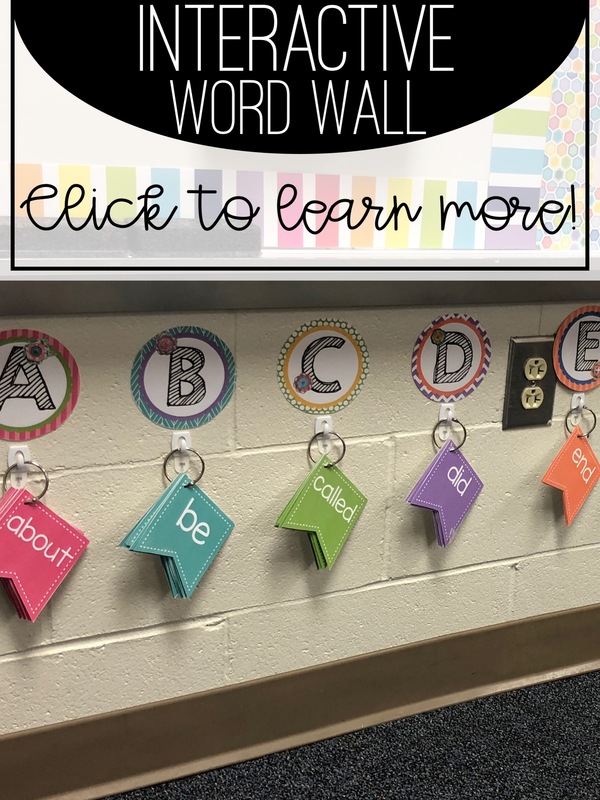 Click here for more details on my word wall. It is editable so I plan to go back and add student names and other words they need me to spell or need Alexa to spell this year. ? I also have a board display for items students might need for a lesson or activity. This visual will keep me from repeating myself a million times. This download is also in my VIP Resource Library for free! 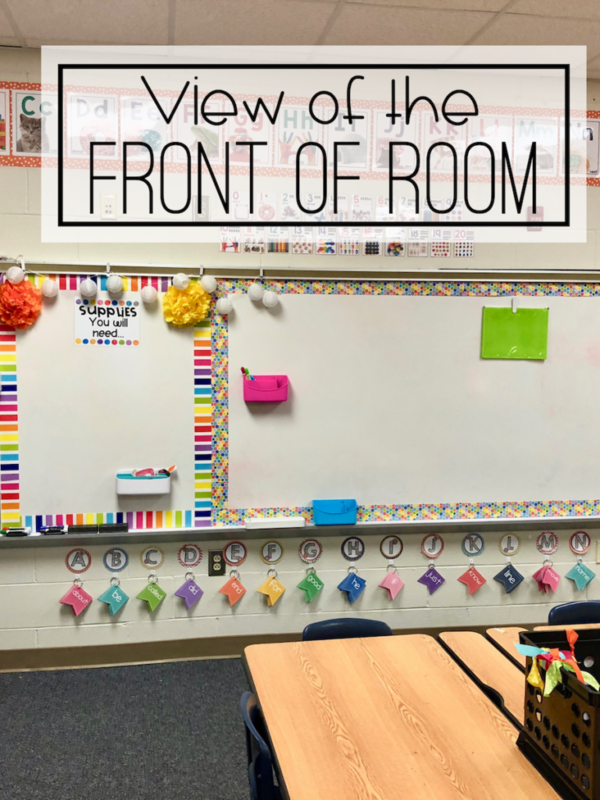 Classroom management and thinking through how my classroom will run is more important than the decorations and arrangement! Do you agree? My classroom has several different strategies set up; and as needed, I will adjust accordingly as my students arrive and I learn their needs. One thing I’m really excited about trying is a door bell for transitions. This little door bell has a ton of different chimes. I think it is going to be fun to use as a transition signal for centers or groups. What tips do you have to share? Please leave a comment! 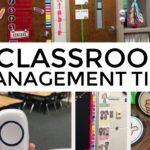 See more of my classroom management tips here! 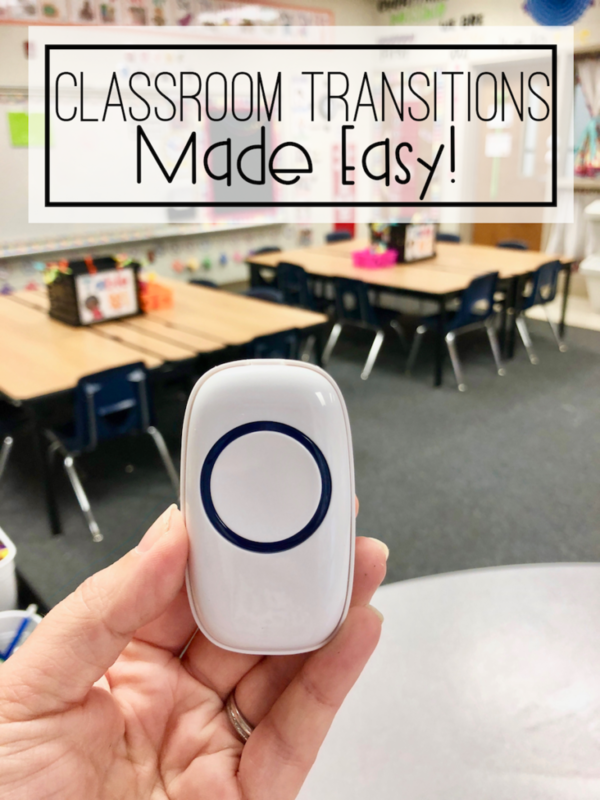 Want to order your own door bell or see other Amazon products I used in my classroom? Click here! Now, let me sit back and enjoy the view before the little firsties arrive! There is nothing like a classroom full of laughter, love, and learning!!! 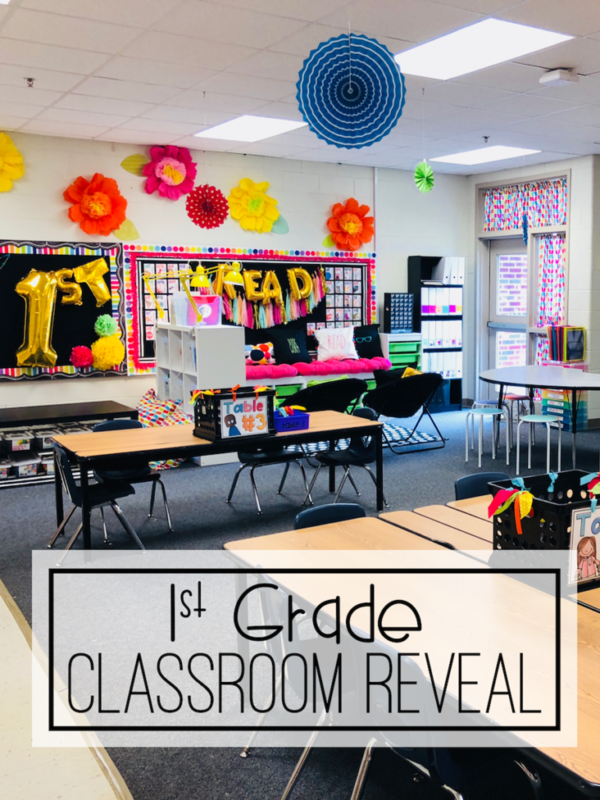 Want to watch my Facebook classroom reveal video? Here it is! Do u have a link for the bench from IKEA where you will keep the kids reading buckets? My classroom used to be an OFFICE! Like a one person office! And I have 8 self-contained sped kiddos. I wish I had room to do what ypu hsve done! This is my biggest strughle…trying to make it functional and inviting wirhout being cluttered. I have so little room to nreak my room up into sections. Just started the program in January so it’s a work in progress but what a challenhe to create this room! Geez…how many typo’s can one teacher make in a post! ? Where do I find the resource library? Your room is classroom goals. Thank you for sharing your talents, ideas, and designs. 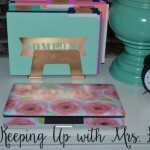 I look forward to continuing to follow your blog and pray you much success this upcoming school year! You’re the sweetest, Carleen! Thank you so much! I am beyond excited for this first grade journey!!! 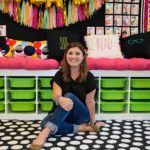 Love your ideas, and your classroom looks fantastic! I bought the door bell system but am having trouble changing the tones, any tips you can send my way? Where did you find the large flowers above your reading center? Sorry if you mentioned it already…I may have missed it! Love everything you have done! Thanks for sharing!! Hi there! Love what you did with your room! I totally agree with you about desks! I have been looking for tables that would be a good fit and yours look perfect! Where did you get them or what brand are they?? Where did you get the bright green pull out drawers behind you in your pictures?